It’s been a few months since I last wrote a post about noteworthy dishes that Maggie and I had cooked in the preceding week. Not that there hasn’t been a whole mess of cooking going on! It’s just that I have been fully occupied with the before, during and afterwards of our travels in Britain, Croatia and Singapore. And I have also been busy over the last couple of weeks, creating a blog that will carry my father’s memoirs. With that latter task now well advanced, let me share some images and recipes for a few items from last week’s menu in our home. This straightforward recipe produces a biscuit that has good crunch and plenty of spice. With only 10 minutes of baking time, the oven temperature is critical; we set our oven at 170°C, because it tends to cook higher than indicated on the dial. Also, you may find that the gingerbread tastes spicier the next day, when your olfactories have been distanced from the cooking aromas. 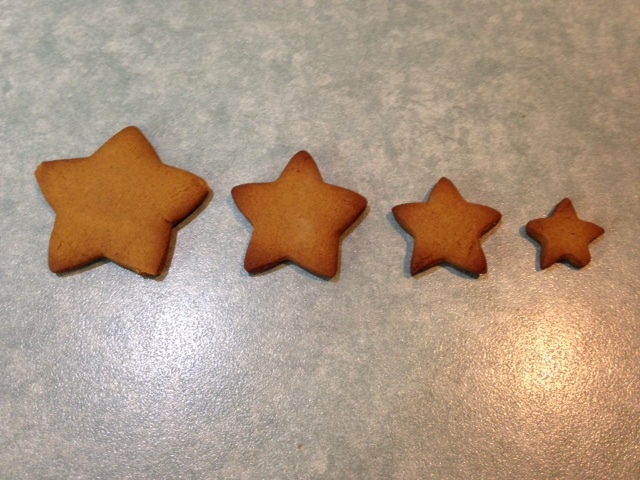 Preheat oven to 180°C (lower by 5-10°C if you are making small biscuits). Line two baking trays with baking paper. Use an electric beater to beat the butter and sugar in a bowl until pale and creamy (4-5 minutes). Add the golden syrup and egg yolk and beat until combined. Combine the flour, ginger, mixed spice and bicarbonate of soda, tip into the bowl and stir to combine as best you can. Turn onto a lightly floured surface and knead until smooth. Press dough into a disc. Cover with plastic wrap and place in the fridge for 30 minutes to rest. Place the dough between 2 sheets of baking paper and roll out until about 3mm to 4mm thick. Use cutter to cut out shapes. Place pieces about 1cm apart on the trays. Repeat with any excess dough. Bake in oven for 9-10 minutes. Remove from oven and transfer to a rack to cool. Store in an airtight container; if not, your gingerbread will slowly but surely go soft. We are half way through the asparagus season in southern Australia, and Maggie and I are eating 8-10 spears between us each week, prepared in a variety of styles. This dish is relatively simple and light, and can be made and served in about 30 minutes. So, it works well for lunchtime. 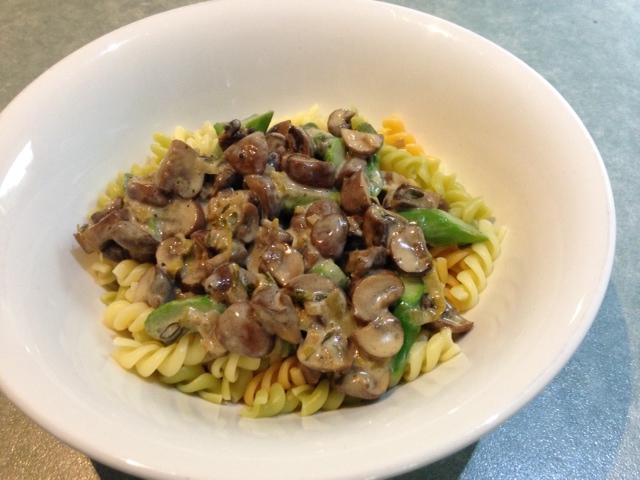 For every 100g of roughly sliced (Swiss brown) mushroom, I use: 2-3 asparagus spears, each cut into 5-6 segments; 1 tbsp olive oil; 10g butter; 2 spring onions, finely sliced; 1 clove garlic, ditto; 1 bay leaf or leaves from 3-4 thyme sprigs; a generous seasoning of salt and pepper; 1/4 cup dry white wine; and 10-15 ml of cooking cream. To pre-cook the asparagus, add the segments to a saucepan of boiling water, to which you have added a pinch of bicarbonate of soda and a few pinches of salt. (There should be just enough water to cover the asparagus.) Put the lid on the saucepan and keep the heat high. About 6 minutes after you put the mushrooms in, add the wine, seasoning and rest of the olive oil, then simmer for about 10 minutes with a lid on the pan but slightly ajar; add a little water if it is drying out. While your pasta of choice is cooking, add the cooked asparagus and cream and simmer gently for 2-3 minutes to thicken the sauce. Adjust seasoning to suit and spoon over the drained pasta in a bowl. Sprinkle with parmesan or pecorino, as you prefer, or not at all. During the festive season, sometimes vary the ragu by adding about half a cup of diced leg ham and a teaspoon of Dijon mustard. Our ninth wedding anniversary took place last week, on a day when the maximum temperature in late-Spring-time Melbourne was 17°C, minus a hefty wind-chill factor. So, we celebrated by making our favourite chicken casserole which, coincidentally, was the first new dish we cooked after we started living together in 2004. Aw shucks! I’ve been making hamburgers for more than four decades, but most of the better ones have been since the year my friend Bill specified celery as a required ingredient for any burger patties he would willingly consume. My latest recipe, road-tested just last week, keeps things simple, includes pork, to sweeten the flavour of the meat, and white pepper, for its superior piquancy. NO breadcrumbs – your chosen burger bun will provide all the bread flavour you need! Saute the celery in a little olive oil for about 4 minutes, add the grated carrot, saute for a further four minutes and remove from the heat. When the vegetables have cooled a little, add them to the minced meats in a bowl, and work the mixture vigorously with your hands or the back of a spoon. This will break down connective tissues in the meat and thereby help the patties stay intact when you cook them. Add the mustard, the seasonings and the egg yolk, and combine well. Form into two patties, about 1cm thick, place them on a plate and refrigerate for 30 minutes. We cook the patties on the grill plate of our Weber Q – 5 minutes on one side, 4 on the other. 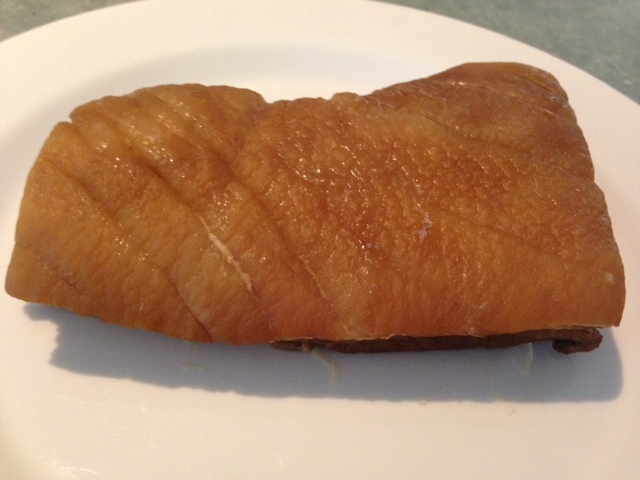 Maggie and I first cooked pork belly early in our marriage, using two different recipes by Melbourne chefs. The two methods had one thing in common – braising the meat first, then roasting it the following day. In time, we tired of this technique and switched to a marinade-then-roast recipe by another renowned Australian chef, Neil Perry. I wrote about this recipe only a few months ago. Alas, I came down with a dose of palate fatigue and sought rejuvenation through a new pork belly recipe. I found one – of the twice-cooked variety – we modified it and put it to the test. Twice in the last fortnight. We are very happy with the end result. Here is the recipe for cooking 600g-700g of boneless pork belly. Place all the ingredients, except the pork, in a lidded saucepan or heat-proof dish just large enough to hold the pork belly snugly. 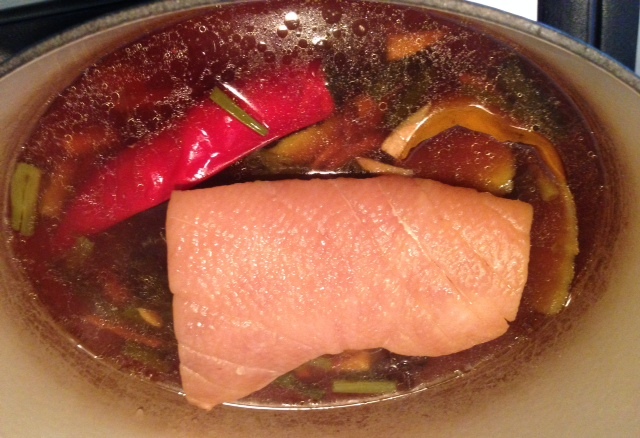 Bring to the boil, add the pork belly skin-side up and simmer for 40 minutes. Turn the belly upside down and simmer for 25 minutes. Turn again and simmer for a further 25 minutes. Remove from the heat. Transfer the pork to a dish to cool, then cover dish with cling film and refrigerate for at least 6 hours (see step 4). Strain the cooking liquid, refrigerate until fat has solidified, remove fat, dilute about 50:50 with water and use to cook some basmati rice to accompany the pork and your preferred vegetables. Roast in an outdoor or indoor oven, preheated to 180C-190C, for about 40 minutes or the skin has crackled to your liking. By now, the majority of the fat will have been rendered. Rest for 10-15 minutes, then slice thinly with a sharp knife to serve. This entry was posted in Cooking and tagged asparagus, gingerbread, hamburgers, pasta, pork belly. Bookmark the permalink.